It’s already mid-July. Summer is passing quickly for many of us, but it sounds like Apple Inc. (NASDAQ:AAPL) is feeling the effect more than anyone. The countdown is on to September and the expected launch of the iPhone 8 — one of the company’s most critical releases to date. And a new report from Fast Company suggests that with only two months to go, AAPL engineers are struggling to get key features to work. The prospect of the new iPhone shipping without some of its new functionality enabled, or an iPhone 8 delay due to a shortage of components is apparently making for a very tense atmosphere in Cupertino. Fast Company’s Mark Sullivan writes that there’s a “sense of panic in the air” as engineers and designers work against the clock in an attempt to finalize the iPhone 8. His source points to significant software issues with Apple’s 10th anniversary, flagship iPhone. Included in the list of woes the company is apparently facing is wireless charging. Sullivan’s source says the hardware is complete and working, but the software that runs the wireless charging isn’t ready for prime time. Another major hurdle appears to be the advanced 3D sensor technology AAPL is incorporating in the new iPhone. We’ve reported on this before — a revolutionary new camera system that incorporates 3D sensors. It’s expected to be an integral part of AAPL’s push into augmented reality and there has been speculation that it could even replace Touch ID fingerprint scanning in the iPhone 8. However, while the 3D technology requires all-new cameras and sensors, it also requires software to do all the heavy lifting — working with captured image data, facial recognition and any other functionality. And according to Fast Company, that software is not yet working reliably. In addition to the software concerns, AAPL faces challenges with the OLED display that’s expected to be a key selling point for the iPhone 8. The new iPhone will be the first Apple smartphone to feature this display technology. However, there is currently limited manufacturing capacity for OLED display panels. Apple rival Samsung Electronics Co Ltd (OTCMKTS:SSNLF) has been tapped to provide most of the displays for the new iPhone, but whether the quantities Apple needs will be available for launch remains up in the air. Further complicating the OLED display issue is Touch ID. Apple is expected to eliminate the Home button and go with an iPhone 8 design that’s virtually bezel-free. But this design means the company has to either relocate the Touch ID fingerprint sensor to the back of the new iPhone (as Samsung did with the Galaxy S8), somehow embed it under the OLED display, or replace it with another biometric security method –that 3D sensor. Fast Company’s source says Apple has been experimenting with the different solutions but has finally reached the point where it is likely to embed the Touch ID sensor under the OLED display. But it has only two months to get that critical functionality — needed for everything from unlocking the iPhone to using Apple Pay — working, and perfectly. Will the iPhone 8 Be Delayed? Apple has faced challenges with component shortages and iPhone functions delayed by software issues in the past. For example, last year’s iPhone 7 Plus was in short supply at launch (I waited nearly two months for my pre-order to arrive) because the new dual lens camera components weren’t initially available in mass quantities. And the portrait mode feature for that camera was further delayed while AAPL perfected the software. However, these issues did not prevent the iPhone 7 Plus from launching on time, and the delayed camera software was a minor inconvenience that didn’t impact core functionality. As Fast Company points out, the iPhone 8 appears to be in a different league of trouble. To be at this late stage — two months before launch — and still be struggling to get key features working, possibly still finalizing a critical design element, and potentially facing a critical component shortage for one of its marquee features? That’s a place AAPL hasn’t been in before. With the importance to the bottom line and the media spotlight being put on the iPhone 8, no wonder there’s panic in the air at Apple. 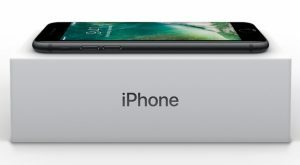 Article printed from InvestorPlace Media, https://investorplace.com/2017/07/apple-inc-s-aapl-iphone-8-can-feel-it-panic-in-the-air/.